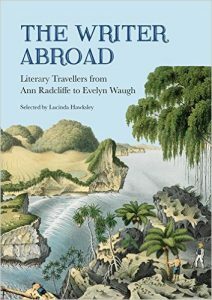 My next book, The Writer Abroad, is being published by British Library Books in February 2017. I’ve just received my first author copy and it looks beautiful, with such a gorgeously tactile cover. It is an anthology of historic travel writing and shows how much our view of the world has changed as travel and tourism have evolved. On 13 February, I’m giving a talk about it at the British Library. Tickets are on sale now.